A good, sadly long passed, friend once said to me while buying me a pint, “beer - it’s an acquired taste - but I spent so much time acquiring it that it seems a shame to stop”. What strikes me looking back is how much beer has improved since the big brewers lost their iron grip on their pub chains and smaller brewers got us away from chemical vats of mass produced beer, much of which had little taste to acquire. Now you can’t move for ‘craft beers’ of one sort or another and, just in case there weren’t enough of these things around, today it is National Beer Day. South East England has a long tradition of brewing beer. The region can boast of 192 breweries and contributes towards 140,033 jobs within the beer and pub sector. Micro breweries have become a means of giving a pub a way of competing in harder times. For example, The Flower Pots Inn at Cheriton in Hampshire brews its beer onsite – a 10 brewer’s barrel plant and has been extended recently to allow for increased capacity. 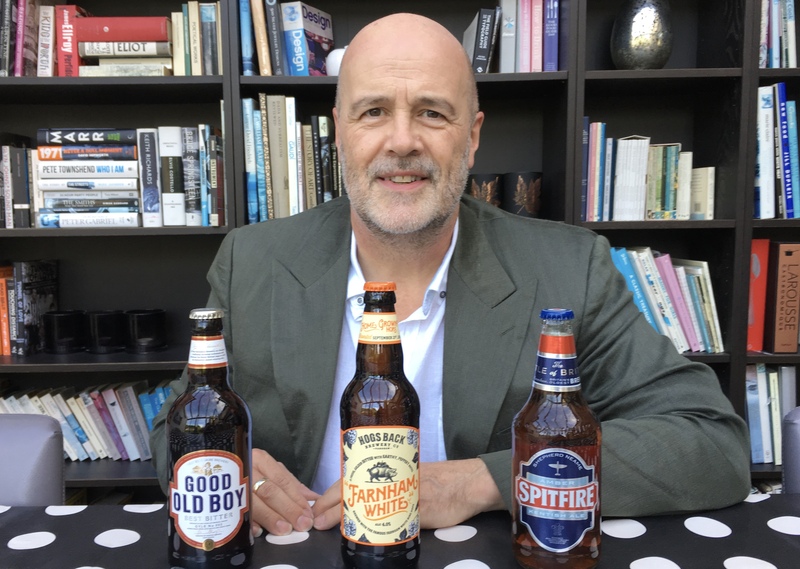 One brewery that never lost the plot is Shepherd Neame brewery - Britain’s oldest brewer based in Faversham, Kent. Shepherd Neame produces over 60 million pints annually and exports to 35 countries and enjoy Protected Geographical Indicator (PGI) status afforded by the European Union to Kentish Ales - meaning that they must be produced in Kent. Hops, East Kent Goldings, used in the brewing process, also have Protected Designation of Origin (PDO). Does it help? It protects from fake products, it tells the consumer that their beer really is beer brewed by a traditional method and it is a quality mark that assists with export. In the UK we’ve been really slow to make the most of these protections and, while German beer had its Reinheitsgebot purity law, French Wine had its AOC designation and so on, in the UK Government’s of all stripes simply let big commercial interests serve anything they could get away with. What happens if and when the UK leaves the EU? Who knows? It’s just something else nobody seems to have thought through. 63% of the UK’s total beer exports go to the EU, but withdrawing from the Single Market and Customs Union will make serving that market harder and, despite all the waffle about ‘global Britain’ it won’t make it any easier to sell anything anywhere else either. So until someone comes up with some bright ideas it will remain tough for UK producers. People in business have a way of shrugging and ‘just getting on with it’ but the UK could do a great deal better to support its food and drink economy. Just think about this - the UK has zero VAT on takeaway food but has the highest rate of VAT in Europe on restaurant and pub meals - nothing to do with the EU, everything to do with a hangover from the days when eating out in the UK was taxed as a ‘luxury’. Anyway, today is a good excuse to support your local brewery and have a pint in your local. In the photo with John (and now in the empties) are Shepherd Neame’s Spitfire (Kent), The Hog’s Back Brewery’s Farnham White (Surrey) and Good Old Boy from the Yattendon-based West Berkshire Brewery.